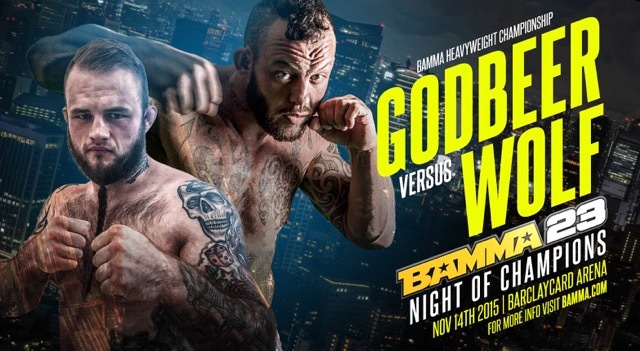 Guaranteed to be packed full of action, adrenaline and entertainment, BAMMA 23 is not to be missed! Barclaycard Arena, Saturday 14th November from 5pm. We’ve got a pair of tickets to giveaway. To enter just tell us: Which country is Ruben ‘The Viking’ Wolf from? Send your answer along with your name, phone number and address to competitions [@] fusedmagazine.com by 11am on Friday 13th November. Winners will be notified via email. This entry was posted in Birmingham and tagged Bamma 23. Bookmark the permalink.